New York - Mayor Bill de Blasio launched a new program on Thursday to reduce New York’s rising population of people living on the streets, following criticism of his handling of the issue and days after the abrupt departure of his top advisor on homelessness. The program will dedicate a team of city workers to make contact with and help the 3,000 to 4,000 people living on the streets and will be the most comprehensive homeless outreach plan deployed in a major U.S. city, de Blasio said in a speech. 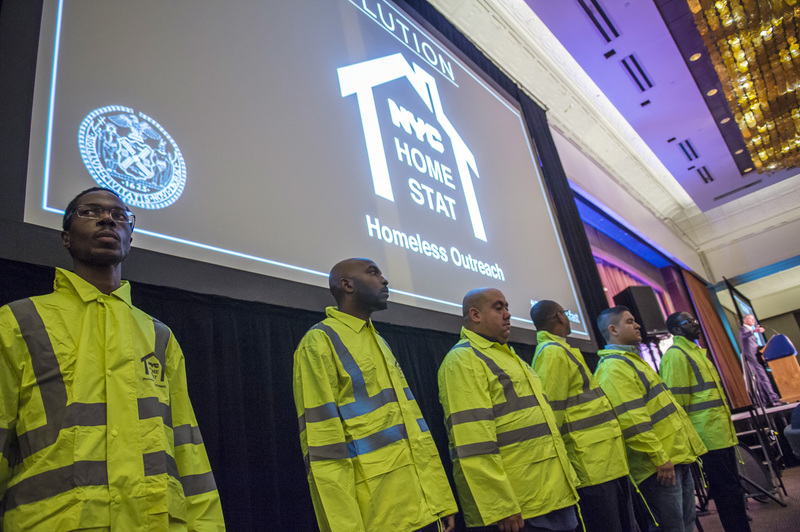 The NYC Homeless Outreach and Mobile Engagement Street Action Team, or HOME-STAT, which aims to be fully operational by March, is part of a $2.6 billion plan by the mayor to address homelessness. It will involve daily sweeps of homeless hot spots and a database to track the homeless. Each homeless person will be assigned a case worker, who will try to get medical help and permanent housing for their clients, many of whom suffer from mental illness and drug addiction. As part of the plan, the city will hire 137 new fulltime staff and train 100 police officers to handle incidents that involve the homeless. A new telephone reporting system will enable New Yorkers to report people living on the street, with the aim that an outreach worker addresses the issue within an hour. There are about 58,000 homeless people, almost half of them children, sleeping in shelters and several thousand more on the streets on any given night, according to city figures. De Blasio has struggled to bring down the city’s homeless population, which has risen for decades but reached record highs during his tenure. Earlier this week, he announced the resignation of Gilbert Taylor, who led the city’s Department of Homeless Services, and said administration officials would consider reorganizing the department. Some critics have blamed the continued rise in homelessness on the mayor’s left-leaning politics and what they call his anti-police sentiment. But advocates applauded the HOME-STAT program and de Blasio’s broader homelessness plan, including the creation of thousands of affordable housing units and an increase in shelter beds. “We believe Mayor de Blasio’s (plan) will, at long last, bring thousands of homeless New Yorkers in off the streets and into permanent housing,” advocacy group Coalition for the Homeless said in a statement.